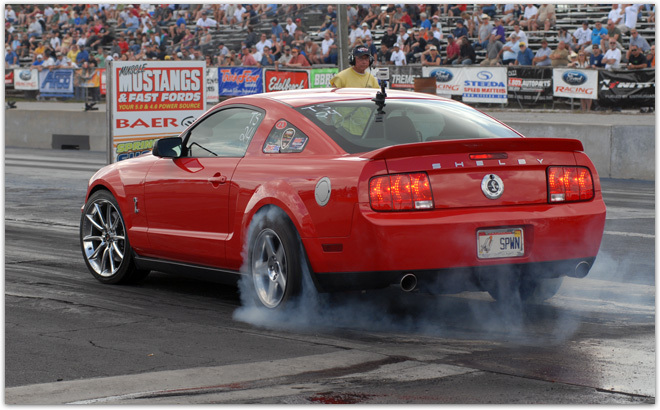 For the first time, after much anticipation, the NMRA will be rolling into Maryland International Raceway for its third points event over the weekend of May 4-6, 2012. Royce and Jason Miller, owners of MIR, have been looking to include the NMRA in their awesome racing program for years, and a deal was finally struck to bring the NMRA to the Ford-crazed fans of southern Maryland. As this event replaces the New Jersey stop on the tour with a facility that is large enough to handle the masses of NMRA racers and fans, the expectation is that it will only grow larger in the years to come. MIR's regular program has garnered attention throughout the country as they have been promoting Ford races for years, but the addition of the NMRA to their schedule only enhances the Ford brand for all willing participants. With legendary track preparation on tap every time MIR opens the doors, the expectation is that many NMRA records could fall at this event - so you want to make sure you clear space for it on your calendar!